Today I am reminding myself that when things seem uncertain, God’s word is always certain. Lately things have been feeling topsy-turvy for me. One week things seem to be on track, and the next week, these same things seem to be off track. 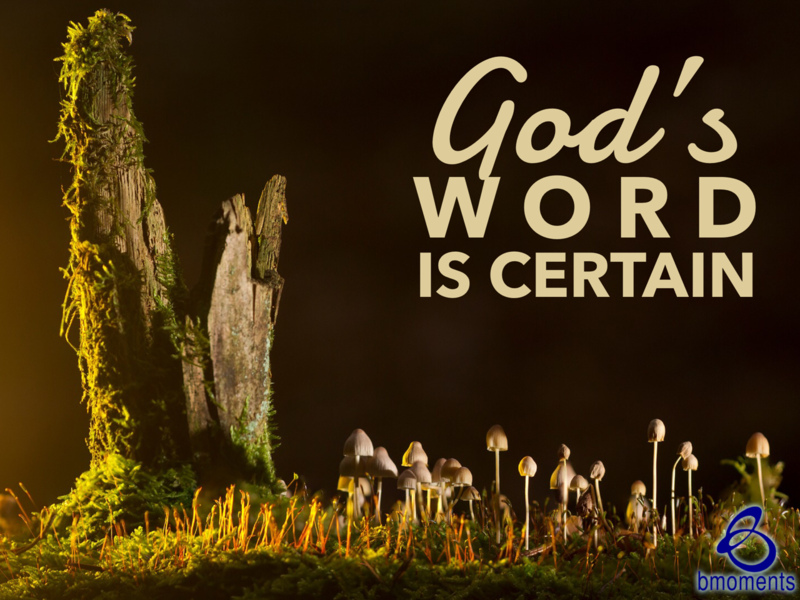 During these times, I must remember that what is constant at all times is God’s word. This reminds me of the time when Joshua divided up sections of the Promised Land for the various tribes of Israel. Prior to this, these tribes had fought for seven long years. Town after town, stronghold after stronghold, they fought and conquered to rid the towns of all pagan activities. Then one day, it happened. The fighting was over, and victory was theirs! However, it is tough to deal with an indefinite battle. On one hand, these tribes clung to God’s word, but they also had no idea when everything was going to come to pass. They didn’t know the day or hour that victory would be theirs. The key in this situation is to shift the energy from trying to figure out the uncertainty of matters, such as when or how it will all come to pass, and instead focus on what is certain, which is God’s word. Today, think about a situation in your life that has an uncertain timeline and is taking a lot of your energy. Then, begin to make an energy shift to focus on God’s word instead of the unknown. So today, shift your energy from the uncertain to the certain—God’s word.